Requiem mass will be celebrated at St Mary's RC Church, Clayton-le-Moors followed by committal at Accrington Crematorium. 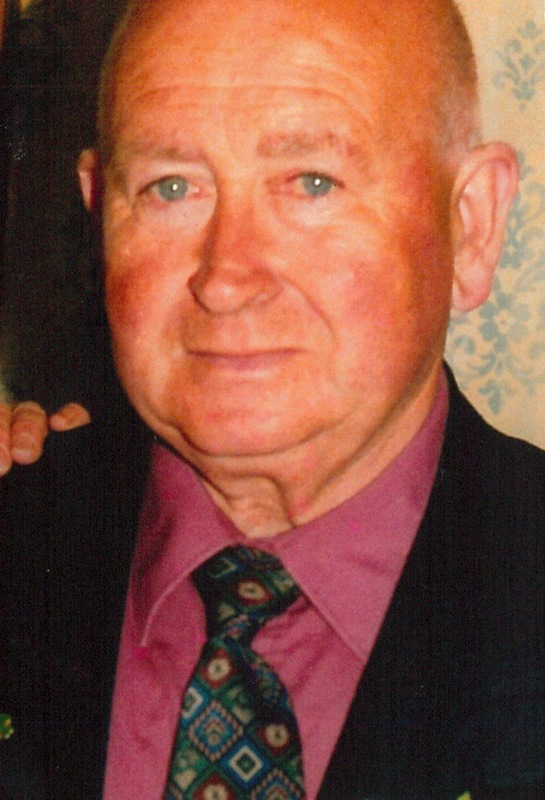 Of your charity please pray for the repose of the soul of Sean who passed away peacefully on 28th March 2019 aged 86 years of Clayton le Moors and formerly of O’Callaghans Mills, Ireland. The devoted husband of the late Margaret, much loved dad of John, Kieran, Elizabeth, Michael, Kathryn and Mark, a dear father-in-law, cherished grandad, great-grandad, brother, uncle and dear relative and friend to many. In the 1950’s Sean came over from Southern Ireland and began training to be a nurse at Calderstones in Whalley and it was whilst working there that he met his wife to be, Margaret (Proctor). Sean and Margaret were soon to be married and lived in Clayton le Moors. A lover of all sports, Sean enjoyed following Burnley Football Club, Enfield Cricket Club and Wigan Rugby Club and he became member of the Come & Welcome Working Men’s club where he played darts and dominoes for the teams. Horse racing was his favourite and he often travelled to Cheltenham to watch the big races with his friends from the club. He carried on doing this even after he finished work. Fond memories were made when the children were young and would go for a family day out to Cotbridge – paddling in the river, eating jam butties and custard creams and drinking orange juice. As the children got older, Sean would take them to Ireland to see grandparents and all their aunties and uncles. Sean would then come back to do the decorating whilst the children were out of the house so that they couldn’t ‘help’. This would often cause some merriment when the children returned to see what colours he’d used as Sean was colour blind. Family flowers only and donations in memory of Sean to CAFOD.